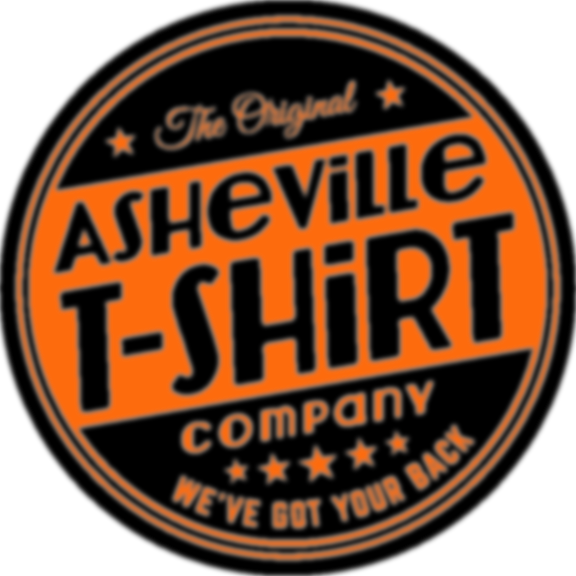 Art & Design – ASHEVILLE T-SHIRT CO.
Email us or give us a call and we can begin to discuss your project! No matter what you have we will find a way to make it work! The information below is just for reference when considering your art options. In order to produce high quality printed shirts, we first need to work with a high quality image. We prefer vector images in eps, illustrator or photoshop file formats. We ask for vector graphics because they can be scaled down without becoming pixelated or distorted. Right clicking online and saving an image will unfortunately not be high enough quality for screen printing. We generally say the first 15 minutes of art time is free. This could be the time it takes us to break down a complex file, or the time it takes us to recreate a simple design. After those 15 minutes we charge $35/hour. We offer full art services at our hourly rate. We have a wide variety of ink in shop that we offer free of charge. If you desire specific colors we offer custom color mixing and PMS color matching for $10-15 per color. All finalized artwork will be sent to you for your final approval. Once artwork is approved Asheville T-shirt is no longer responsible for errors in the provided information. We do our absolute best to avoid all errors by having the artwork fully approved before we begin the printing process.